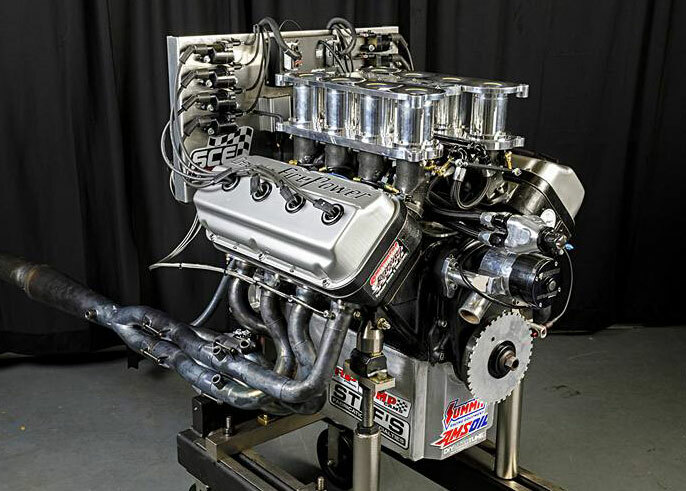 The annual Engine Masters Challenge spurs an amazingly competitive bunch of hot rodders and a broad spectrum of innovative new ideas to boost engine performance. 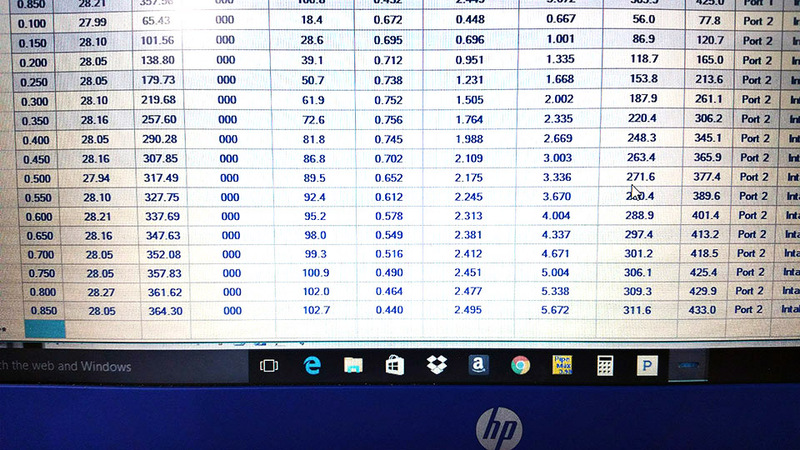 Points accrue according to averages taken from torque and horsepower curves across a specified operating range. The more area you can build under the curve, the better your score. 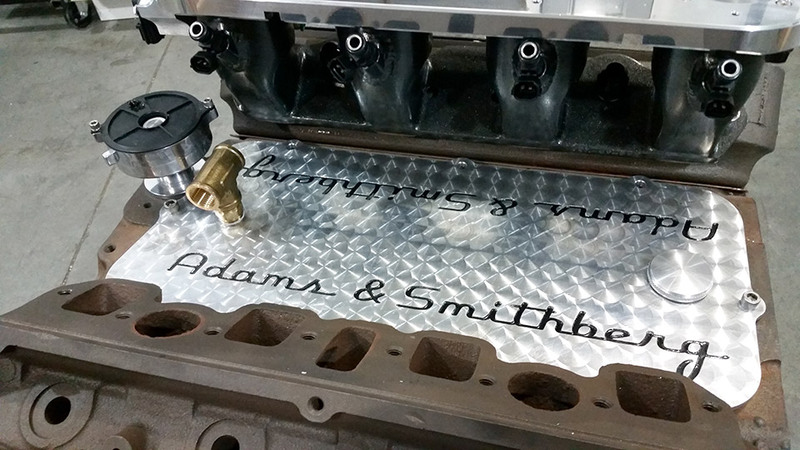 Among the more innovative groups competing, the Adams and Smithberg team have always brought well-prepared entries bristling with thoughtful innovations. 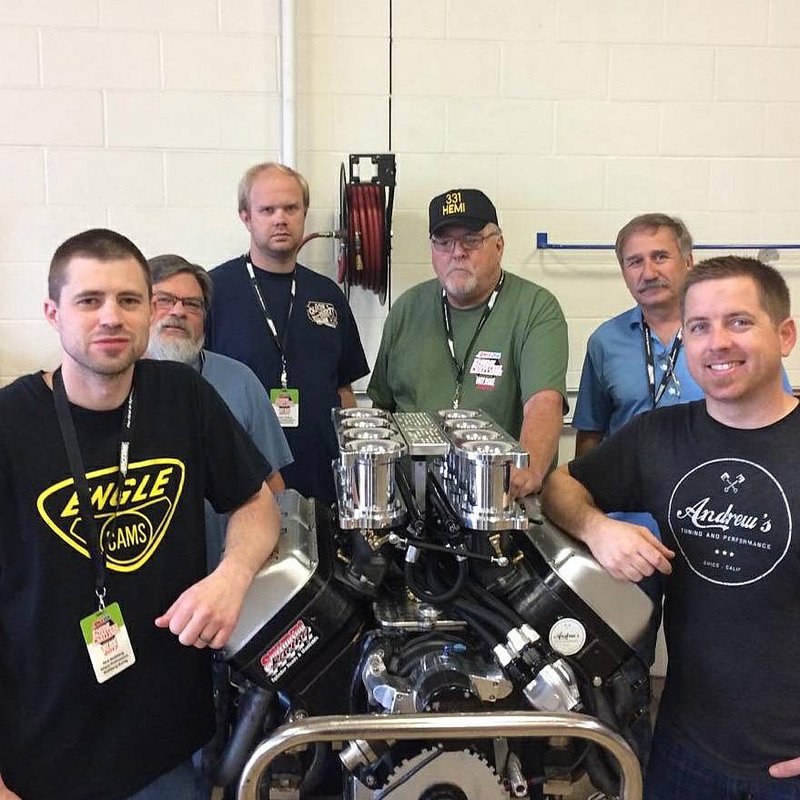 The 2017 competition was no different and they emerged the “Runner-Up” in the Vintage Engine Class and won the “Best Appearing Engine” award. A great showing that proved the early Hemi a worthy challenger in a sea of formidable competitors. 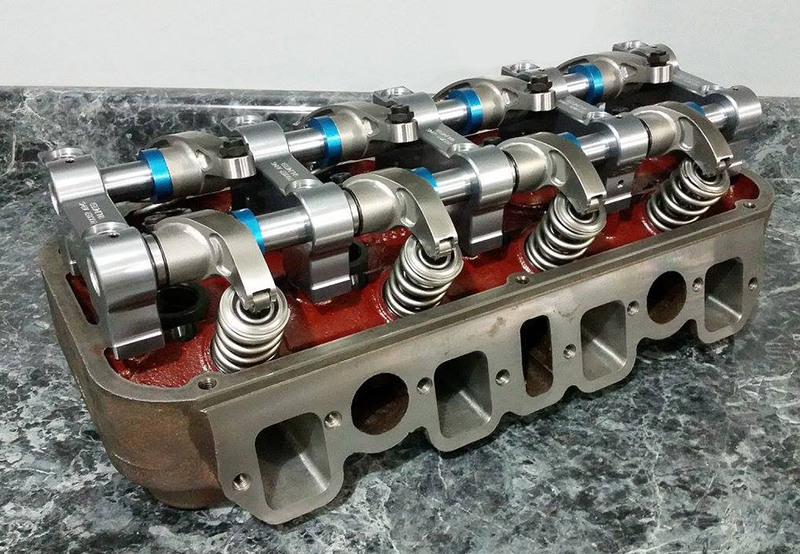 Achieving the broadest and fattest torque curve is largely dependent on camshaft timing and induction tuning. 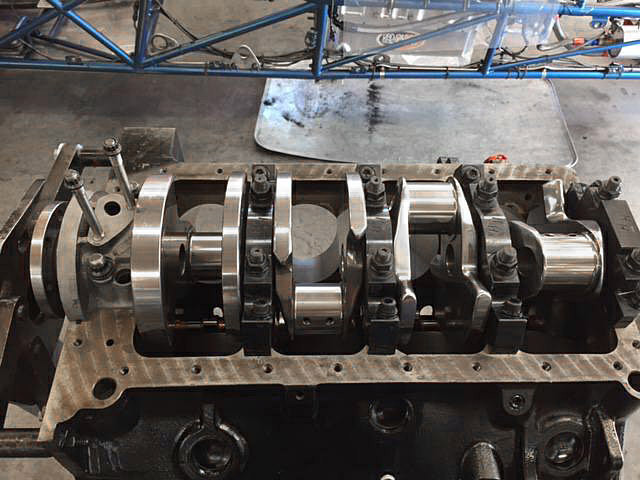 Since the chosen camshaft timing is a fixed element, that leaves only the intake system to fine tune the overall package. 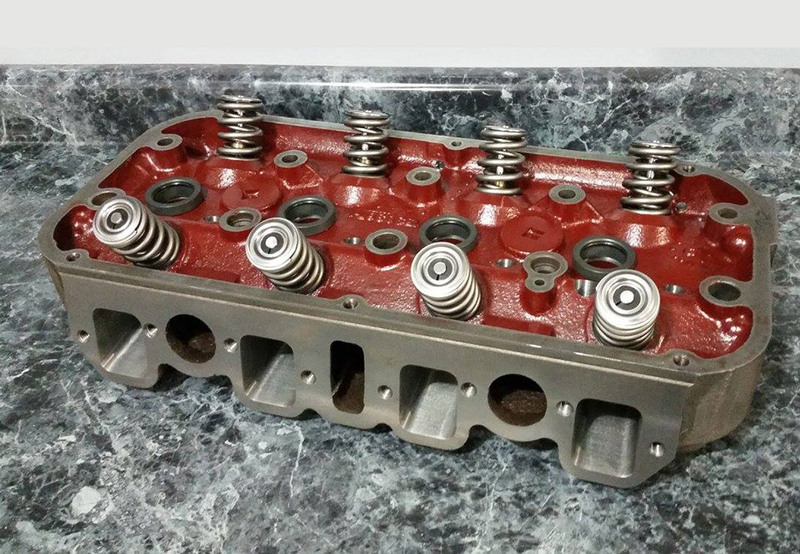 A stout short block assembly by Adams and well prepared Smithberg cylinder heads yield their best performance throughout a power run because the induction system closely tracks the air demand and maintains maximum velocity to fill the cylinder at any engine speed. 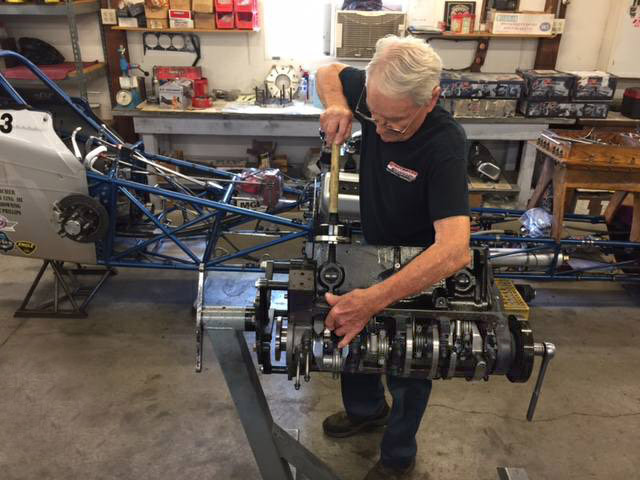 Induction specialist and team member Nick Smithberg brainstormed a unique inlet design with engine builder Gene Adams. 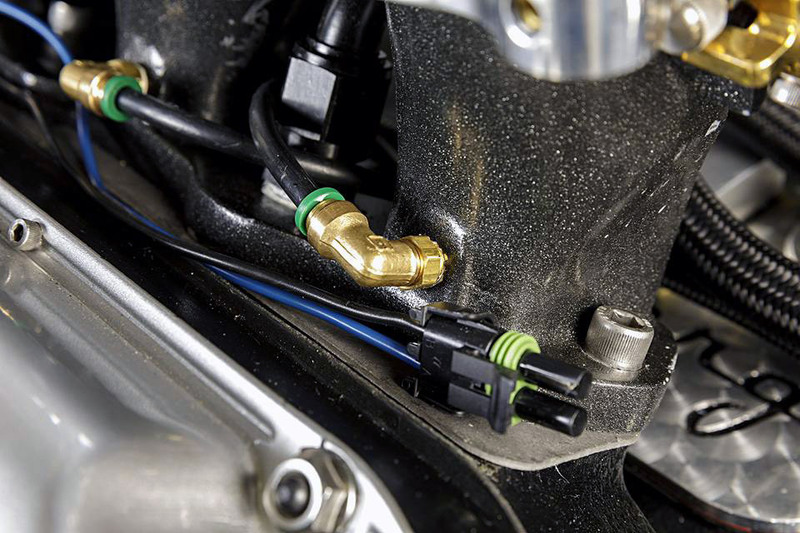 It achieves a variable length inlet tract with inlet tubes that shorten as the engine climbs to peak power. 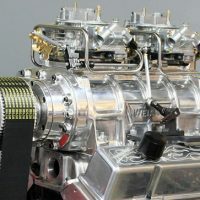 The system is based on Smithberg's favorite, an early Hemi Hilborn fuel injetion manifold with individual runners modified to change their length during a power run. 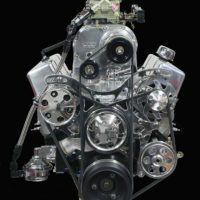 The photo above illustrates the complete flow path through the engine. 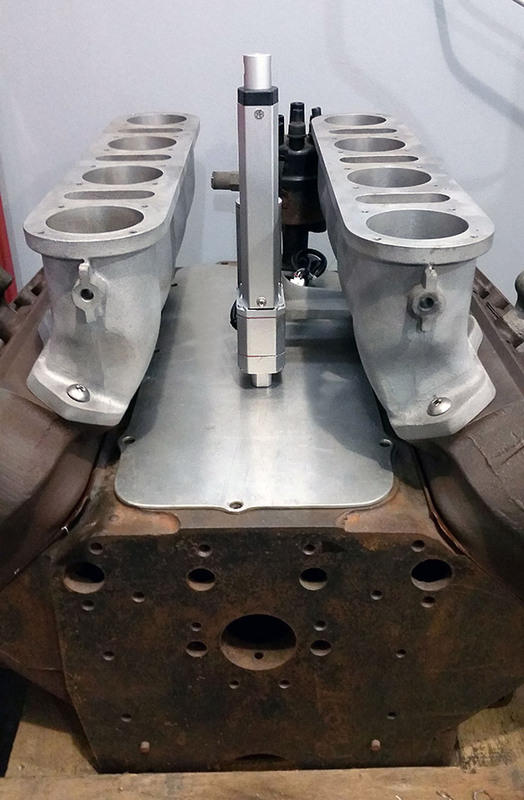 The intake stacks are fully extended to provide a longer flow path that resonates with the slower engine speeds at the beginning of a dyno pull. At full extension, the inlet path is 17.125 inches which, in this combination, tunes to the 2nd reflected wave. 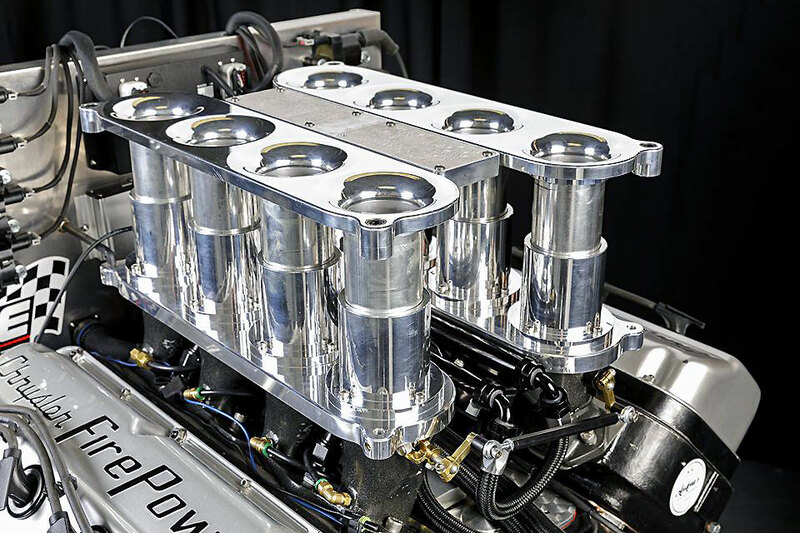 As the engine gains rpm the stacks drop three and one half inchs, shortening the flow path so the engine tunes to the 3rd harmonic for max power. The exhaust side is not variable so it tunes to a different torque peak. 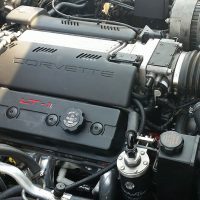 The longer primaries support strong low-end and mid-range torque while the variable intake carries the engine upstairs. 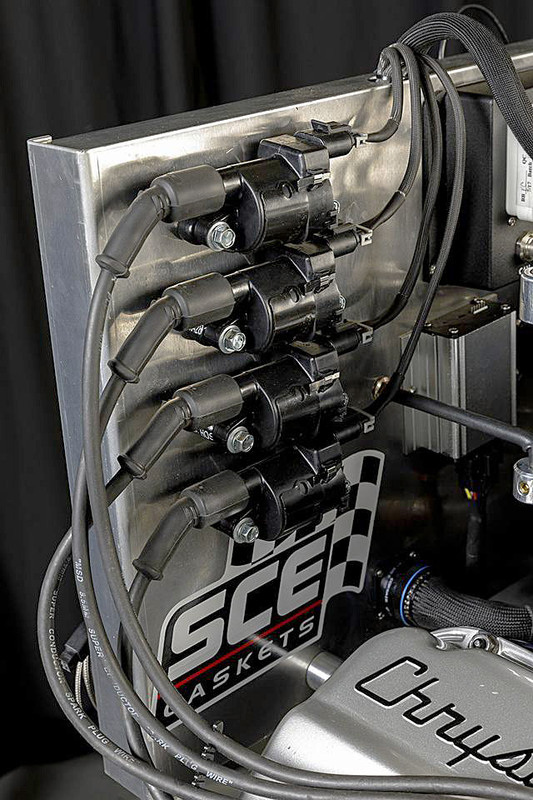 When the engine hits peak torque, the stacks begin to drop, keeping the engine at peak torque through a broader and higher range. 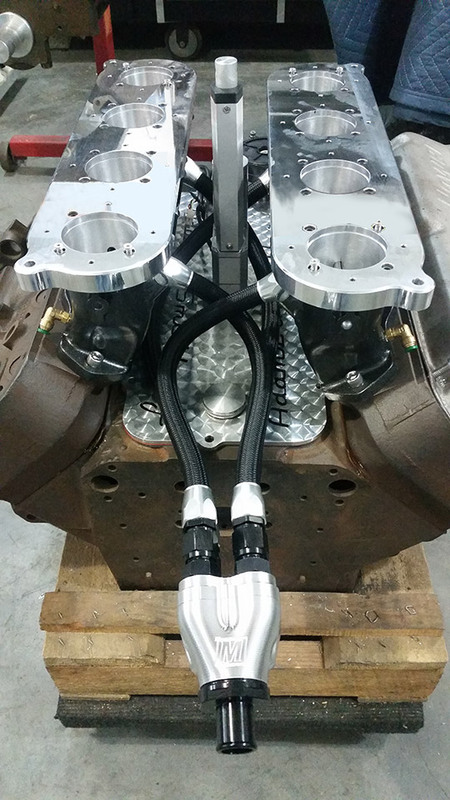 The exhaust incorporates a Tr-Y arrangement with a megaphone expansion collector to match the EMC dyno room exits. 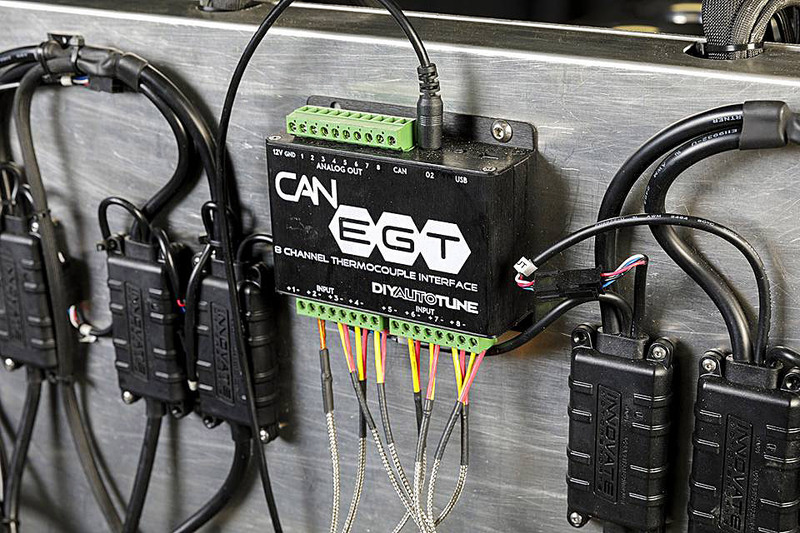 EGT probes are placed close to the port exits and each primary tube has its own oxygen sensor. 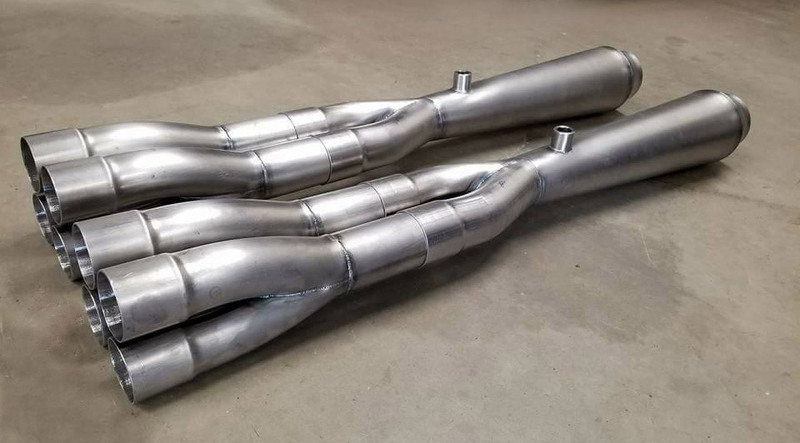 The reward is the dyno curve at the right with one of the broadest, flattest torque curves you could ever ask for with power still climbing above the preset test limit. 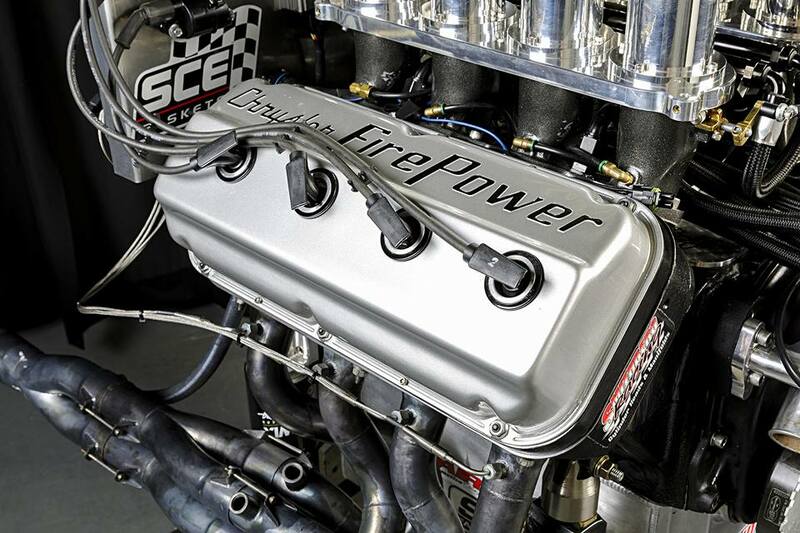 It delivered 714 horsepower and more than 600 lb-ft of torque. The stacks are fully extended in the left photo. That provides the longer tuned length that favors the early half of the run. 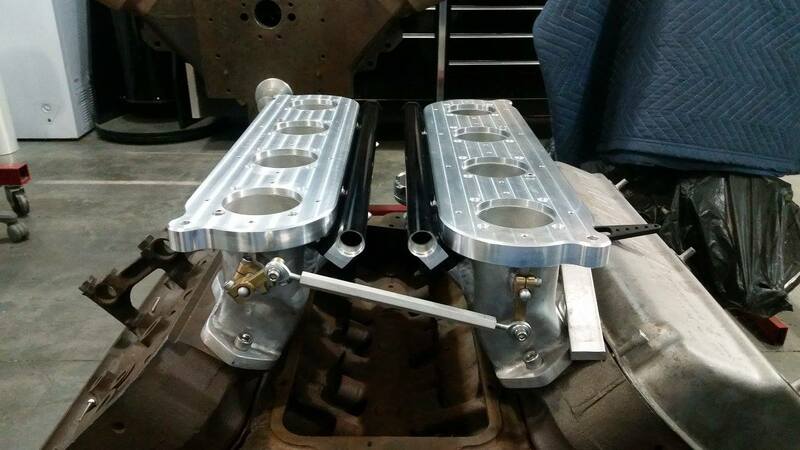 At the right, the stacks are fully lowered to shorten the tuned length and improve torque and power at higher rpm. It's an elegant solution that creates a fat, flat torque curve across the entire operating range. 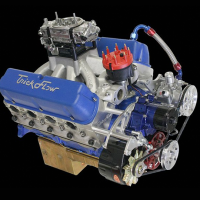 The engine combination is built to deliver maximum possible torque between 3500 and 6500 rpm. 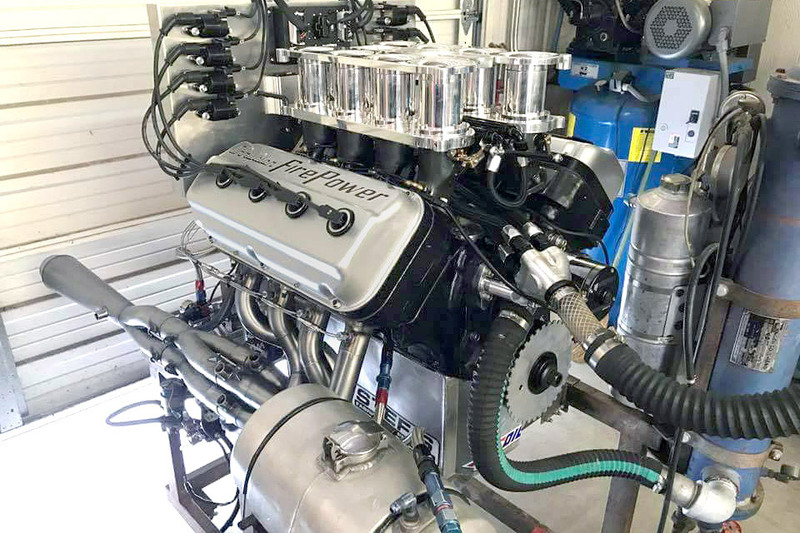 It stems from an original 331ci early Hemi, a powerplant that legendary engine building partner Gene Adams could probably build in the dark if he had to. 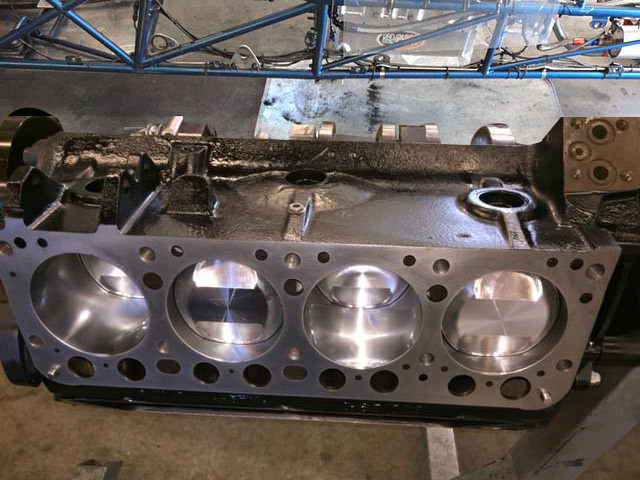 The block has been bored and stroked to 410 ci (3.917 x 4.250-in.) 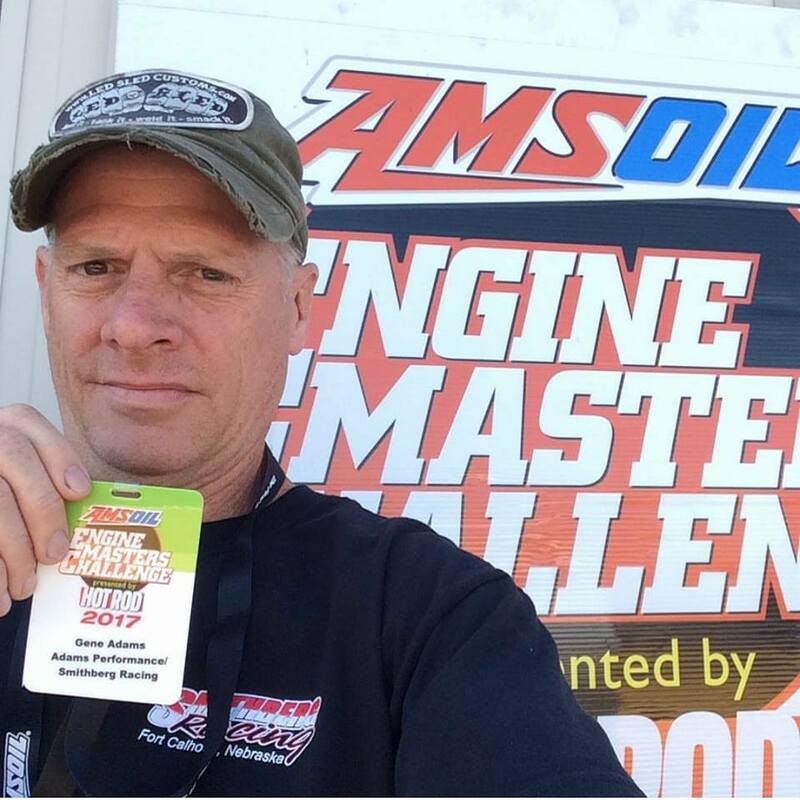 for the Hot Rod/Amsoil Engine Masters Challenge. 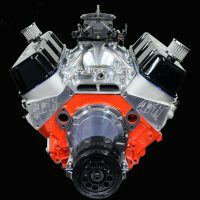 The internal engine pieces are comprised of bulletproof components that include a Sonny Bryant stroker crankshaft, Molner connecting rods and CP pistons achieving a compression ratio of 12.1:1. 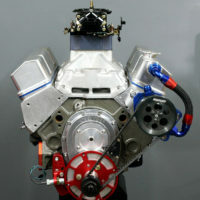 The necessary prerequisites to a bullet proof short block having been chosen, Gene Adams assembled the engine and Smithberg manufactured the induction system in a dedicated team effort. 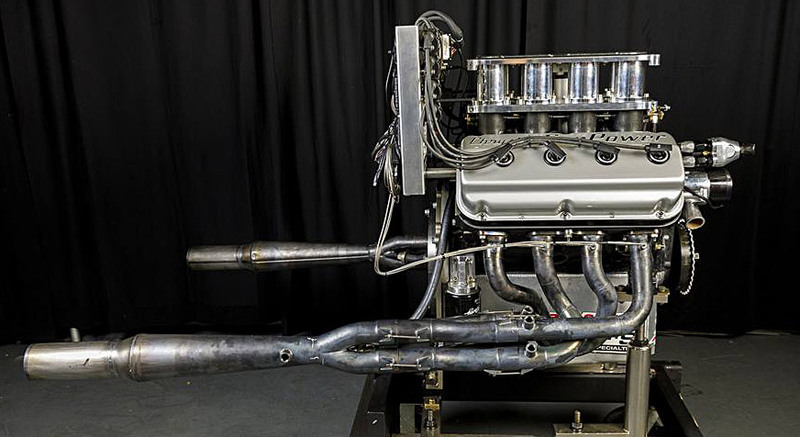 The combination proved formidable when it generated 710 horsepower and over 500 lb-ft of torque to secure second place in the Vintage Engine class. 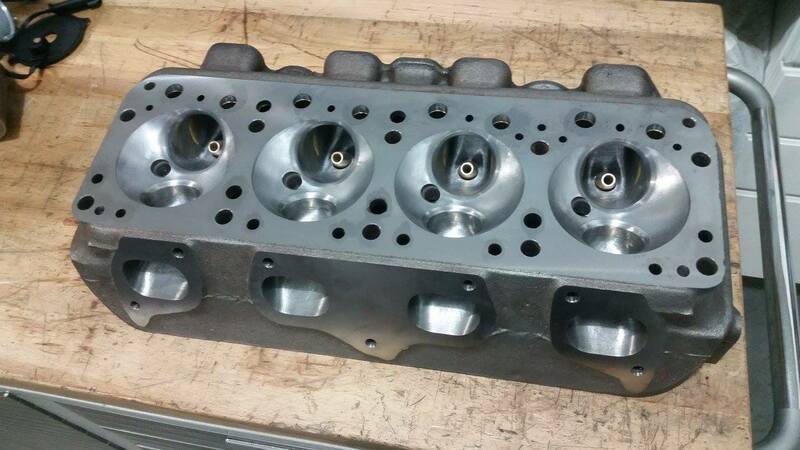 Smithberg prepped the OEM 331 Hemi cylinder heads with his proprietary porting procedure and fitted them with 2.125-inch intake valves and 1.8-inch exhaust valves. 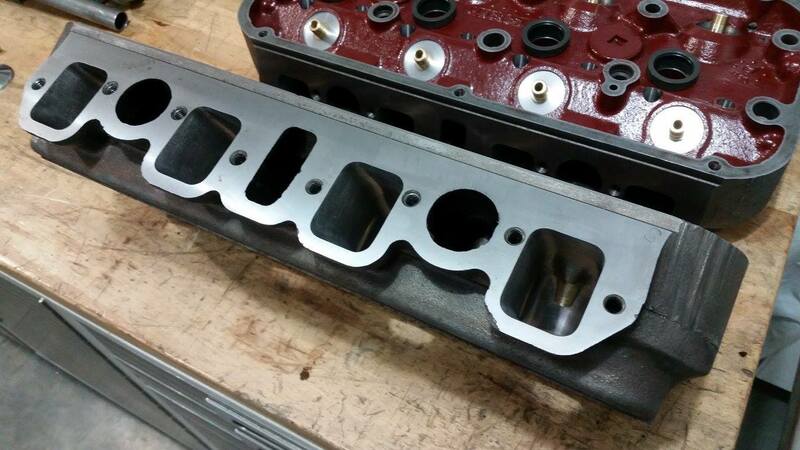 The result was an intake port that exceeded 300 CFM at .450-inch valve lift and peaking with 364 CFM at .850 lift. That achieves a significant 300 CFM-plus flow window for a major portion of the valve event. 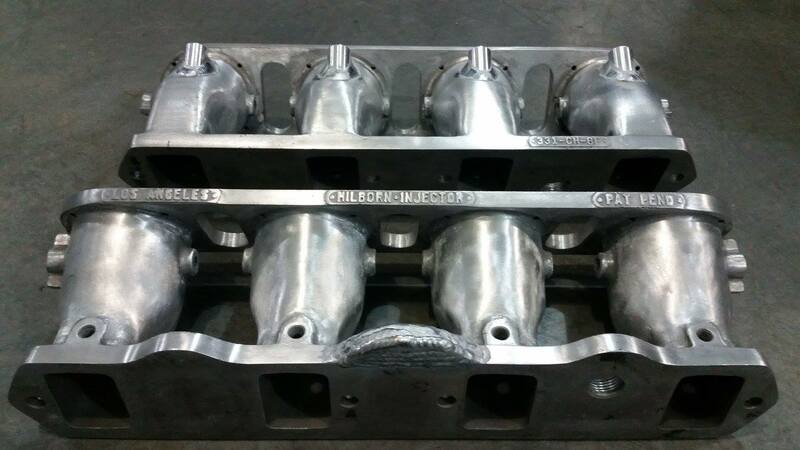 Preliminary design work began with examining the port mismatch between the cylinder head and the intake manifold to determine the necessary modifications to create an active, high-velocity port to support a broad torque curve by working effectively with the variable length intake. Smithberg is examining the relationship to determine the best position for the injector placement so it will spray directly at the back of the valve. 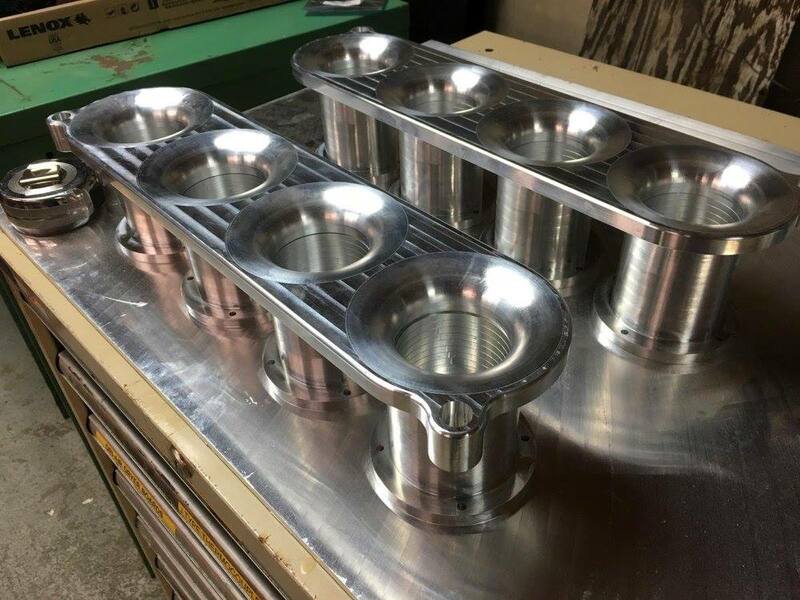 Smithberg chose a complete set of Rocker Arms Unlimited investment cast stainless steel roller rockers with 1.72 / 1.56 intake/exhaust advertised ratios. 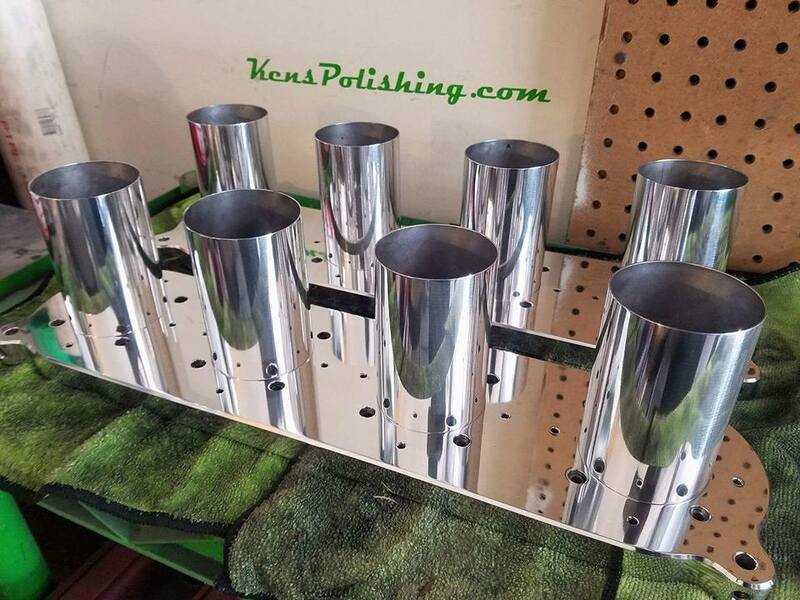 Nice looking pieces. 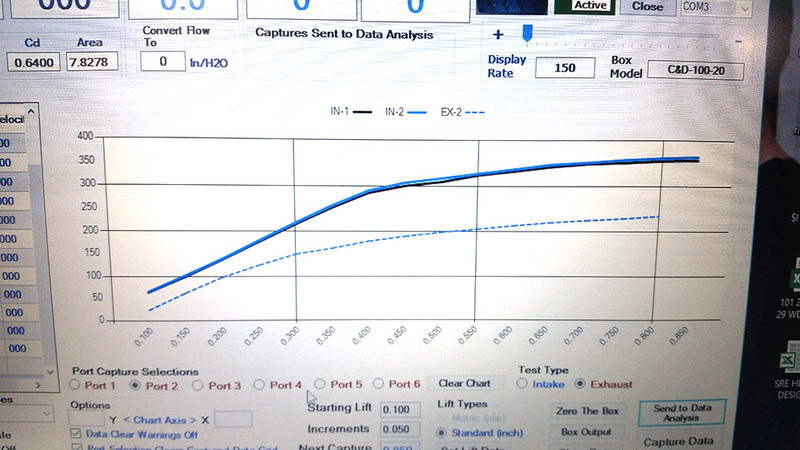 Here are some flow numbers indicating 364 CFM on the intake side at 28-inches of water and .850 lift. 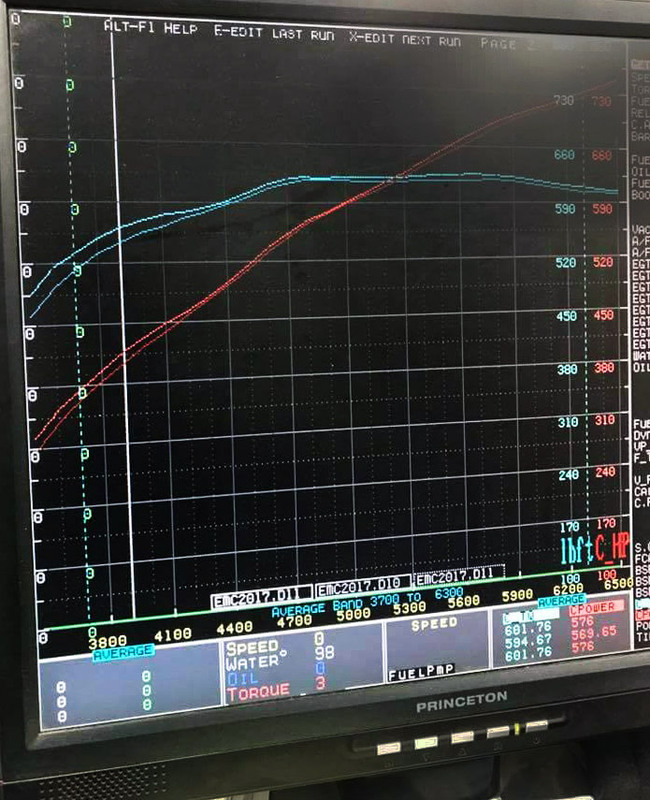 On the right a graph comparison of intake and exhaust flow showing equal intake ports and a nice liner exhaust curve maxing out at about 239 CFM @ .800 lift. 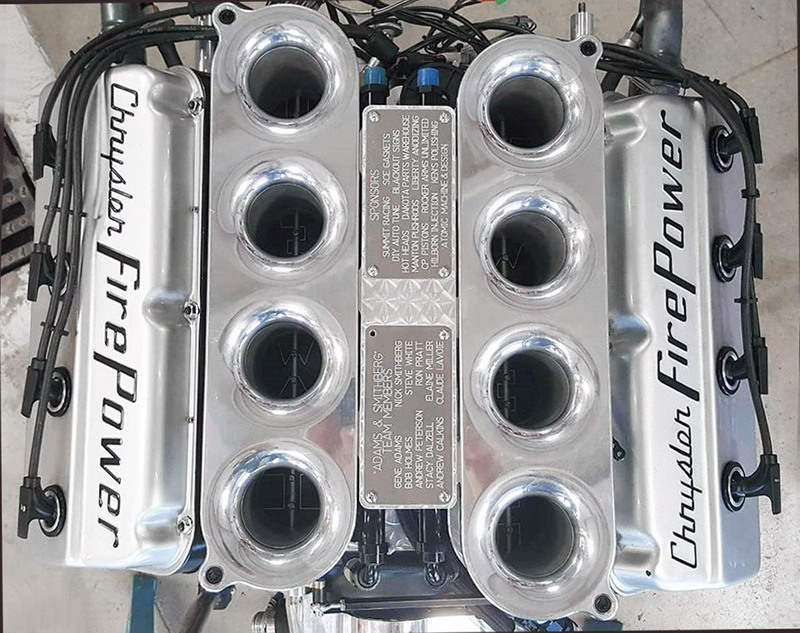 Hilborn individual runner fuel injection manifolds are a closely held favorite of Smithberg's because of their broad adaptability, performance utility and overall movie-star good looks in a traditional hot rodding sense. A strong believer in the core science of wave tuning theory, he very much enjoys constructing unique inlet systems based on the sound principles of inlet runner tuning. That is particularly true when applied to his personal favorites, early Chrysler Hemis. 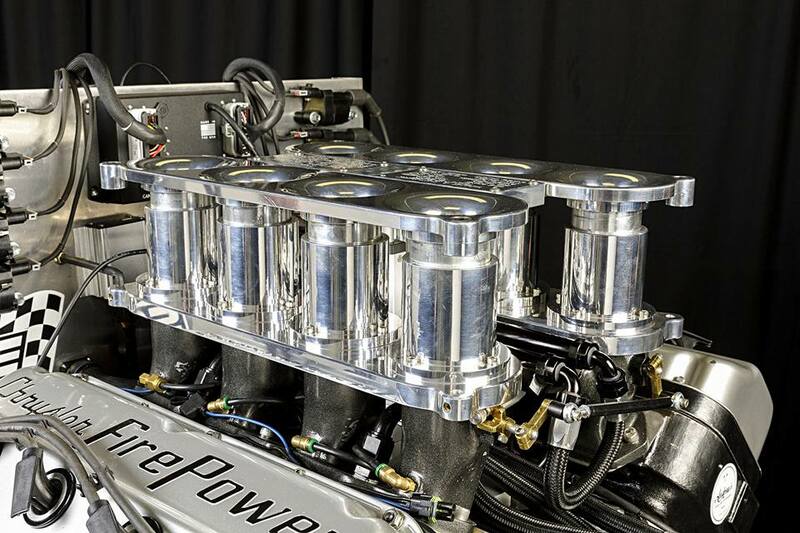 To say that the suprise inlet system rocked onlookers when it was first unveiled at the competition would be an understatement, but base on previous entries, regular competitors have learned to expect the unusal from the Adams and Smithberg team. 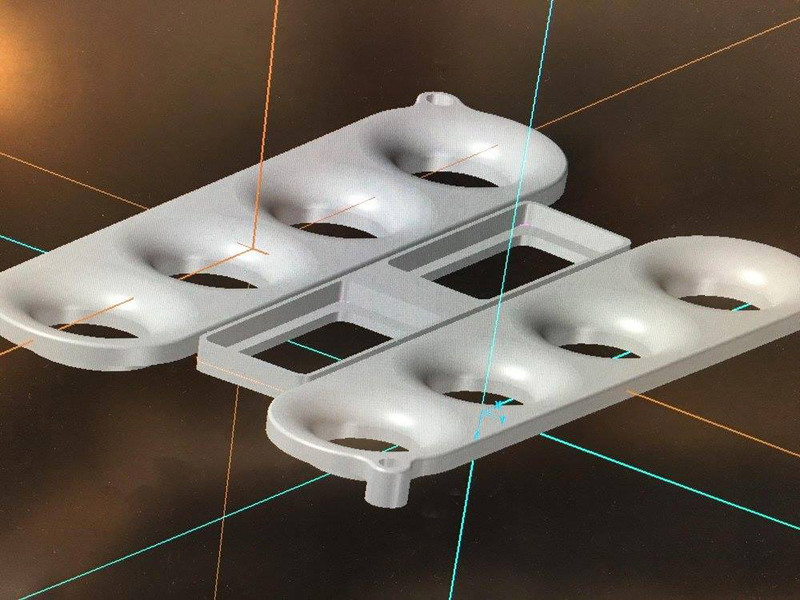 Smithberg performed the initial design work in Solidworks before transferring the concept to metal for the final applicatoin. 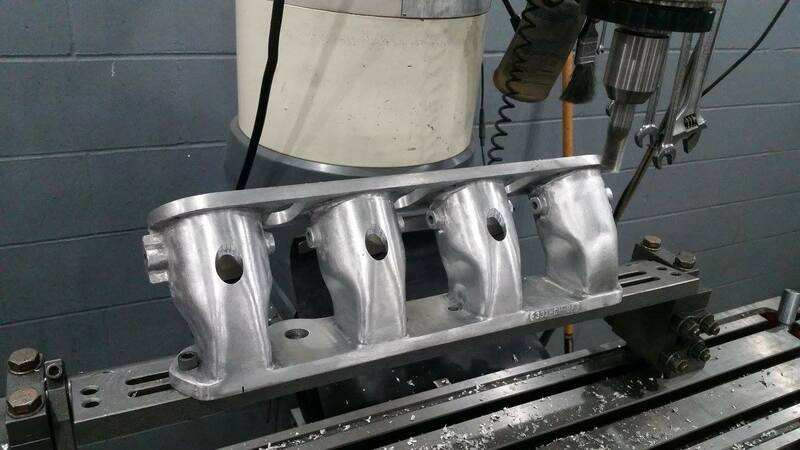 Determining the proper layout of the upper entry mount was done in Solidworks to ensure that final machining operations would exactly match the individual tuned risers from the modified Hilborn intake manifold. 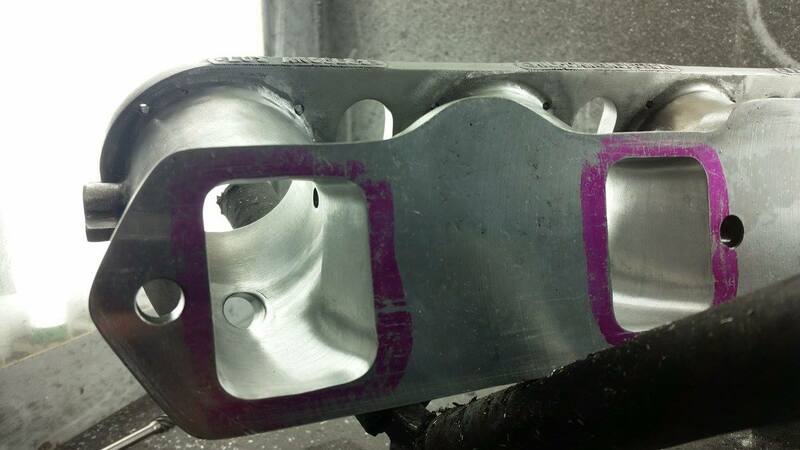 Smithberg machined stepped base plates to anchor the riser extensions. 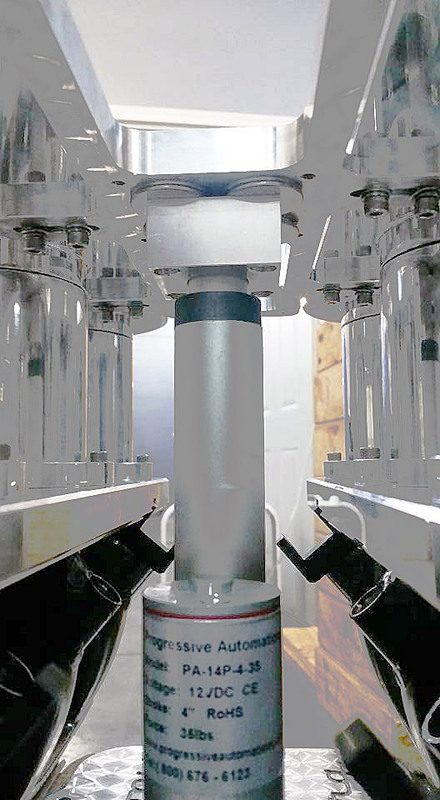 In the mockup (center) the vacuum operated riser extension valve is centrally mounted on the valley baseplate between the injector rails. 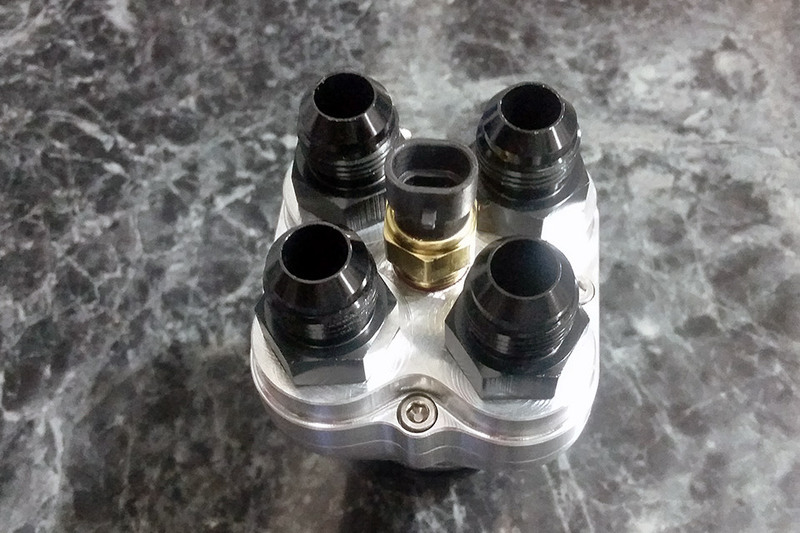 Note the injectors are positioned for a straight shot down the port. 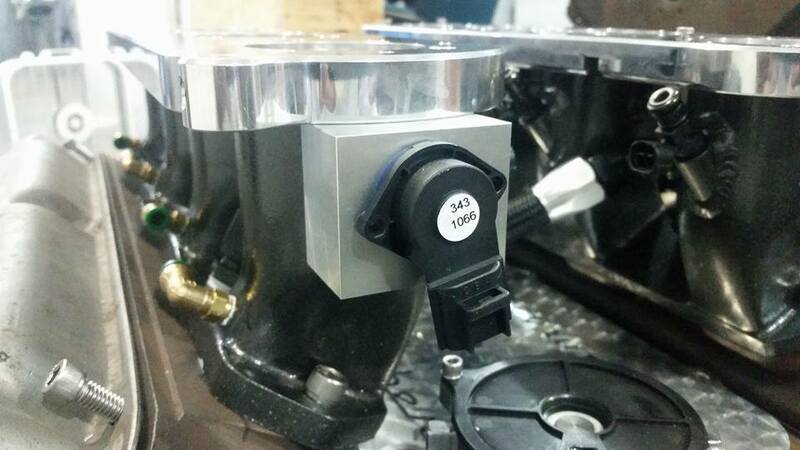 A TPS switch is added to the rear of one throttle shaft so the ECM can reference throttle position. 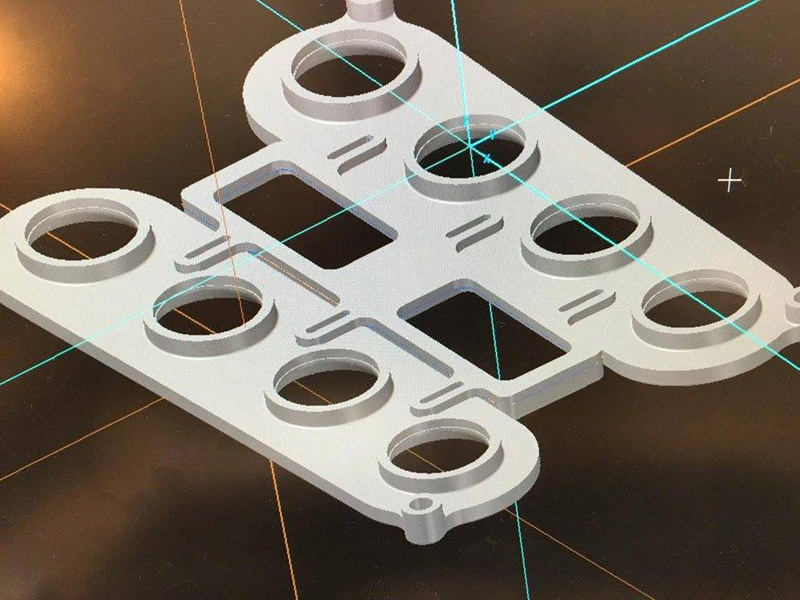 Inside the ported base manifold, you can see the ideal placement of the injector bung for a direct shot at the port with a centralized spray pattern. 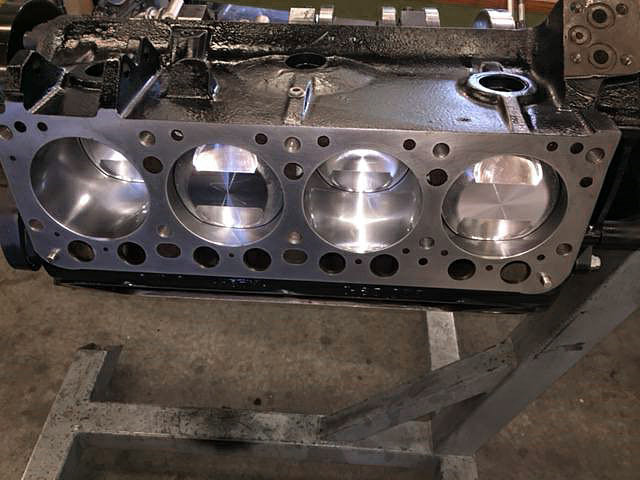 At the center, the previously constructed base plates are fitted with the newly polished runner risers. 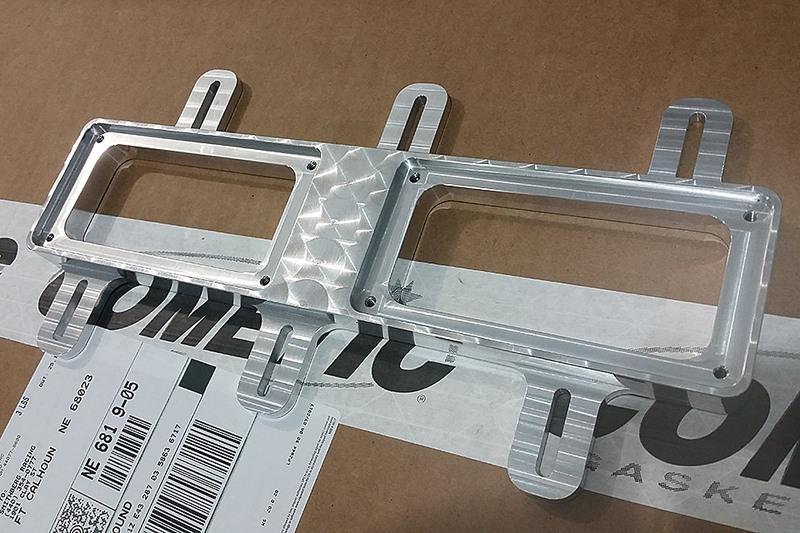 The top plates with radiused air entries slip over the risers for a perfect match. They are not yet extended in this photo. 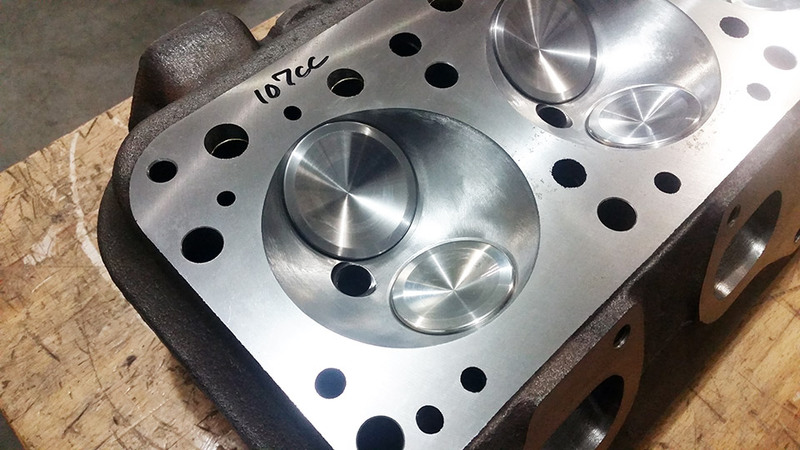 The original mechanical injector bosses in the Hilborn intake are refitted to accept individual vacuum lines that provide a vacuum signal for the ECM to reference load. 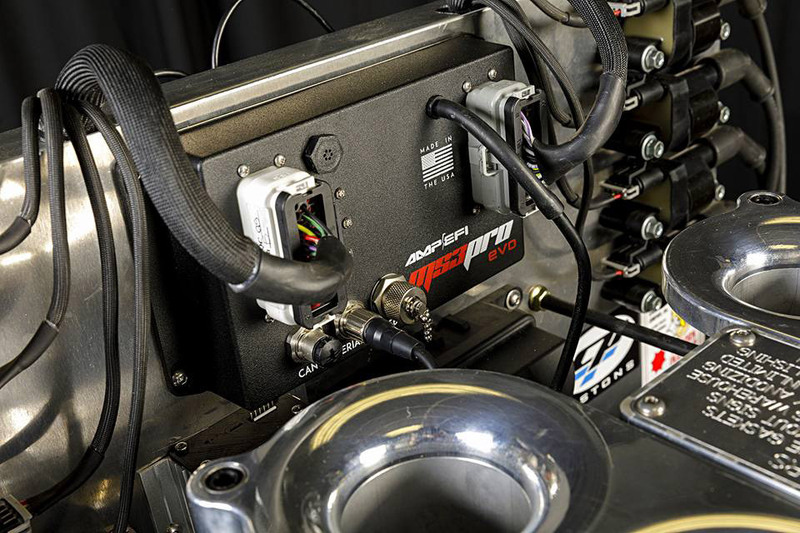 Individual Innovate Digital Wideband "Lambda" O2 Controllers mounted on the rear of the engine service console monitor all 8 cylinders for exhaust oxygen content. 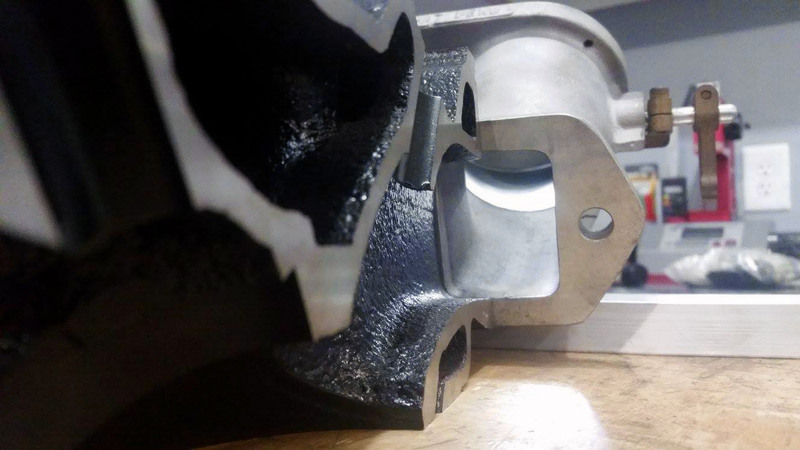 Coolant enters the block via a Meziere water pump and exits the heads via a pair of fittings in the intake flanges on each side. 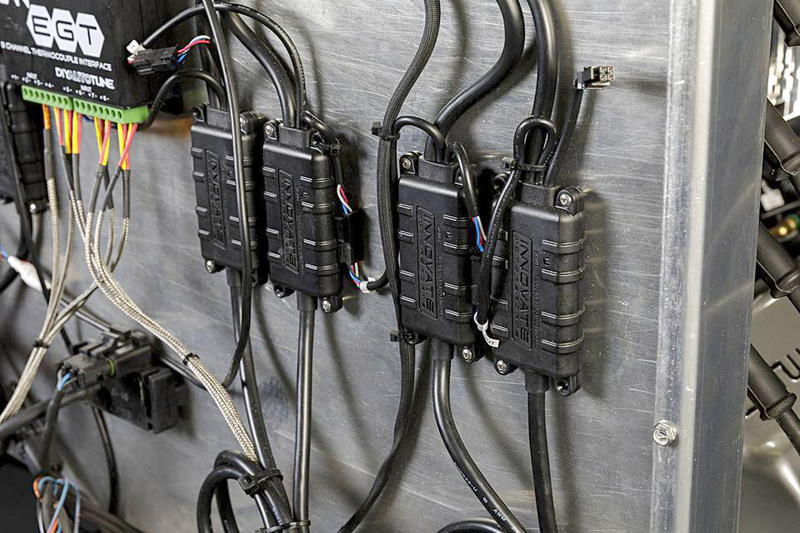 The four exit lines converge to a custom front cluster with a temp sensor in the center. An EPI MegaSquirt MS3-Pro ECM provides full engine management with a full connection to the DIY AutoTune CAN and Innovate EGT monitors, vacuum referencing, temp sensors and individua factory GM LS ignition coils. The system is robust in its capability for detailed engine monitoring and the ability to adust instantly. 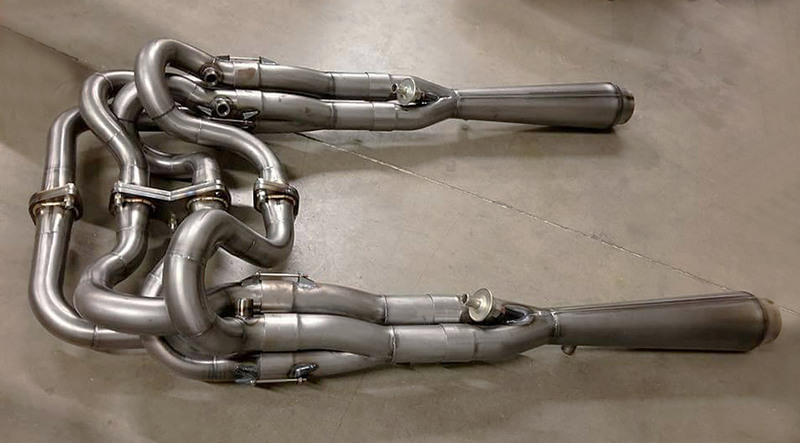 The exhaust system is a custom Tri-Y setup with megaphone collectors. The primaries are 1-7/8-inch diameter and the collector expands to 3 inches. O2 bungs are installed and, as seen in the first photo, early style Pan Evac valves are installed to pull some vacuum on the pan. The T-fitting on the valley plate in the third photo provides the Pan Evac connection to the interior of the engine. 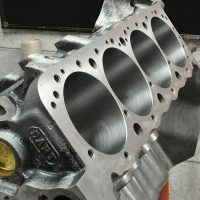 This was a multi-state effort with engine builder Gene Adams assembling the engine in California while induction specialist Nick Smithberg prepped the cylinder heads and fabricated the unique active tuning intake manifold system in his Nebraska workshop. 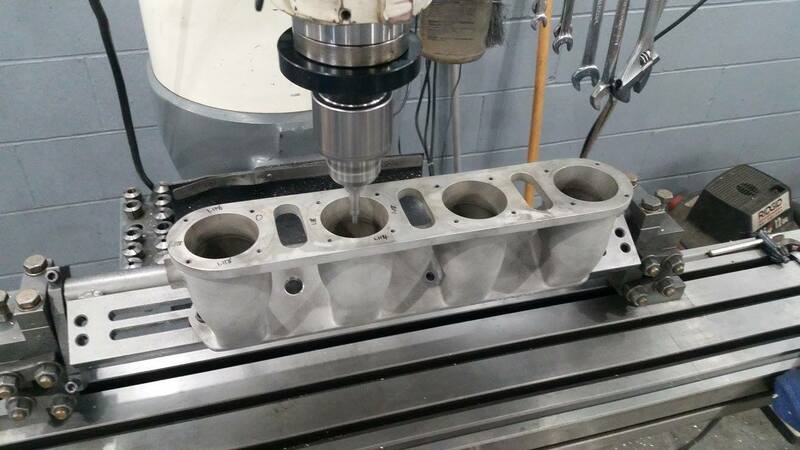 TJ Zessin of Atomic Machine helped make the billet intake pieces and valley plate. 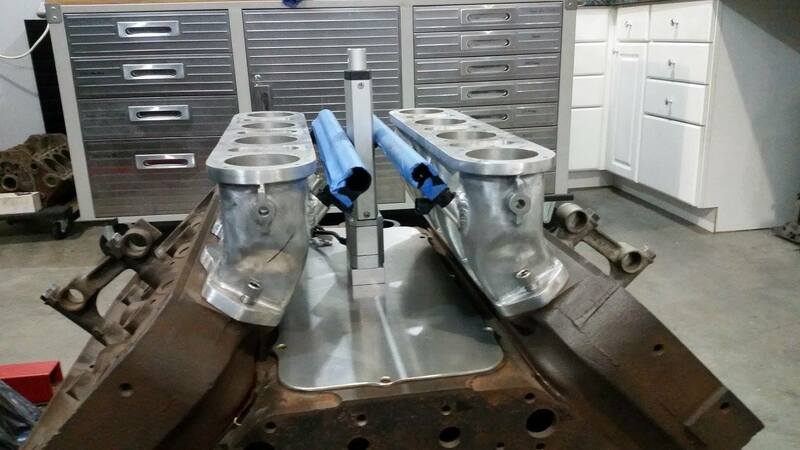 Andrew Calkins built the headers. Andrew Peterson tuned and wired this thing in very short order. 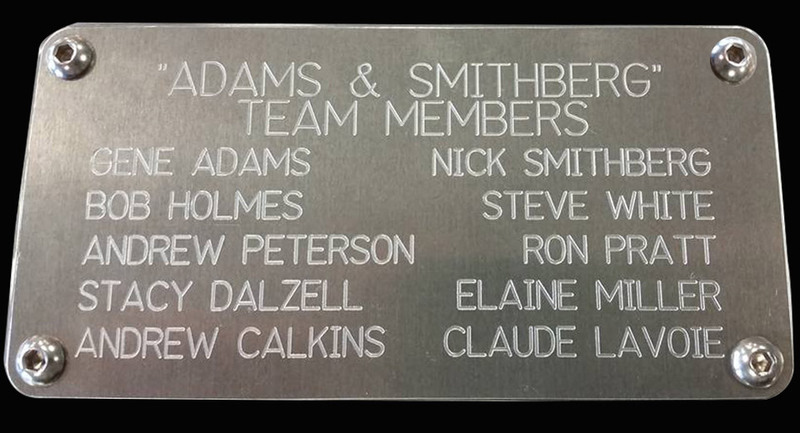 Bob Holmes and Steve White were team leaders for the effort. Jerry Hoffman of DIY Autotune supplied the EFI Components. 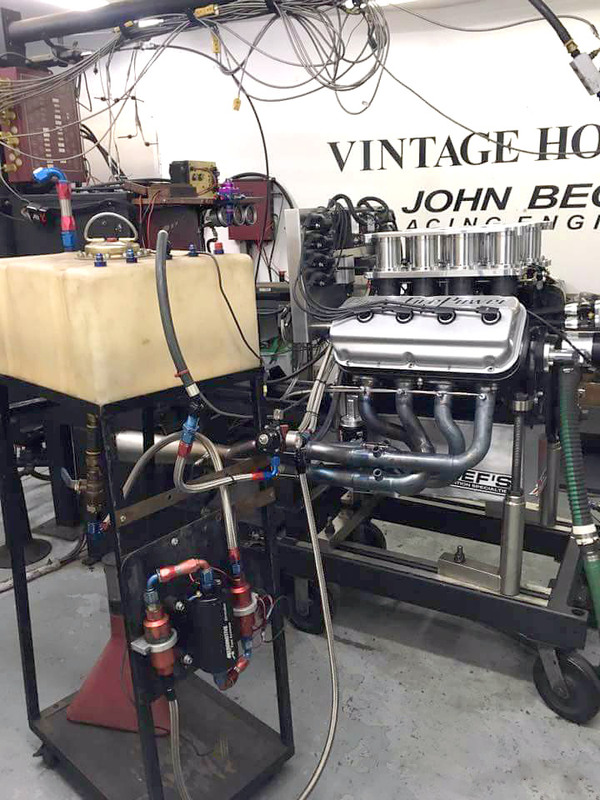 Prior to the EMC finals, the engine was tuned and groomed on the engine dyno at John Beck Racing Engines in Chico, California. 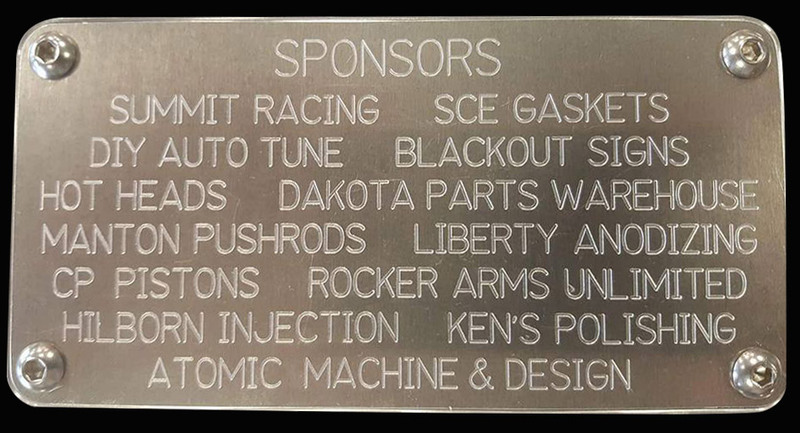 Crew and sponsor tags attached to the top of the injector riser are a classy touch. From left to right, Nick Smithberg, Barry Smithberg Sr., Andrew Calkins, Steve White, Claude Lavoie, and Andrew Peterson.